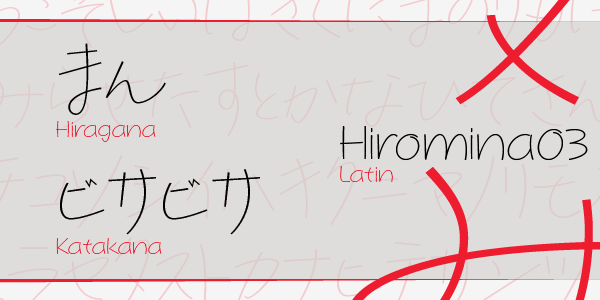 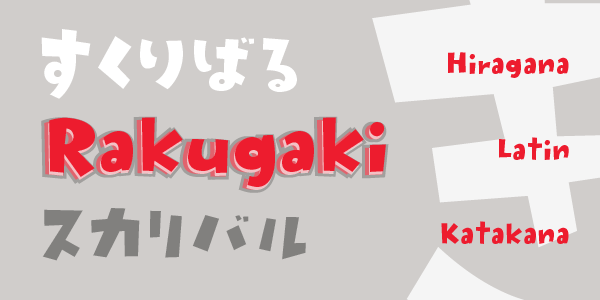 Komusubi features Latin as well as Katakana and Hiragana. 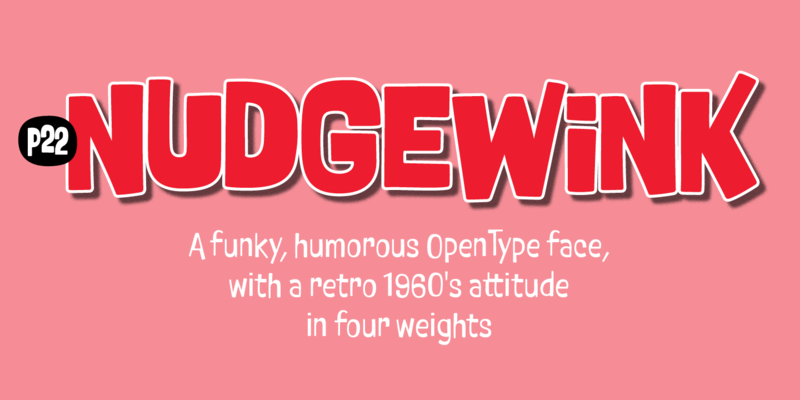 This lively display font comes in regular and bold for all three alphabets. 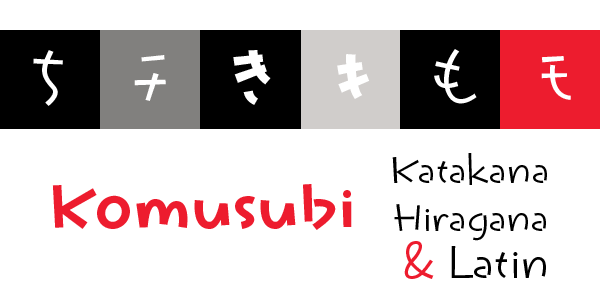 In Japanese, Komusubi means to tie up a string or ribbon lightly. 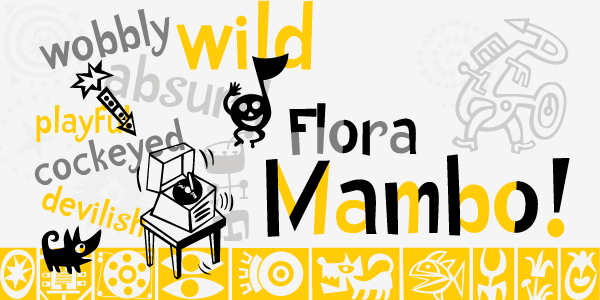 The lyrical tone of the name reflects the casualness of the font itself.